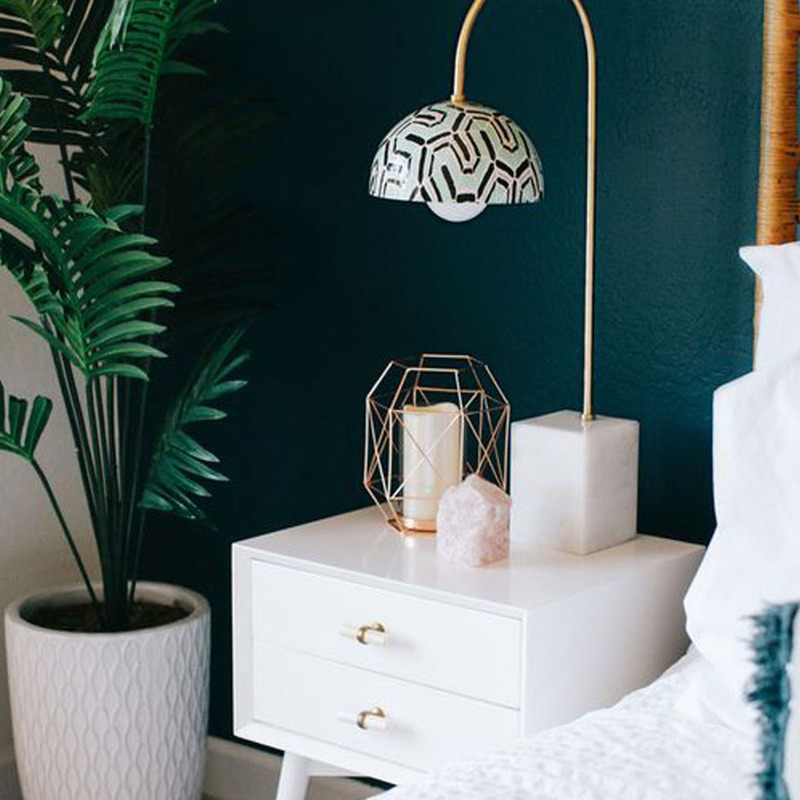 To reap the benefits of these homeopathic lamps, place one in close proximity to where you spend a lot of time. And don’t forget that pairing electronics with salt lamps is said to help mitigate the electromagnetic radiation that diffuses through your home. Consider placing a Himalayan salt lamp on your TV stand or in the kitchen. 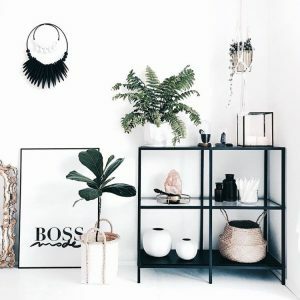 Other key areas in the home are on a side table next to the sofa (where you spend a lot of time watching TV), on your nightstand (right next to the bed, hopefully catching some z’s), near a designated homework area (kids can get the benefits, too), or on the desk of your home office (concentrate on that work!). 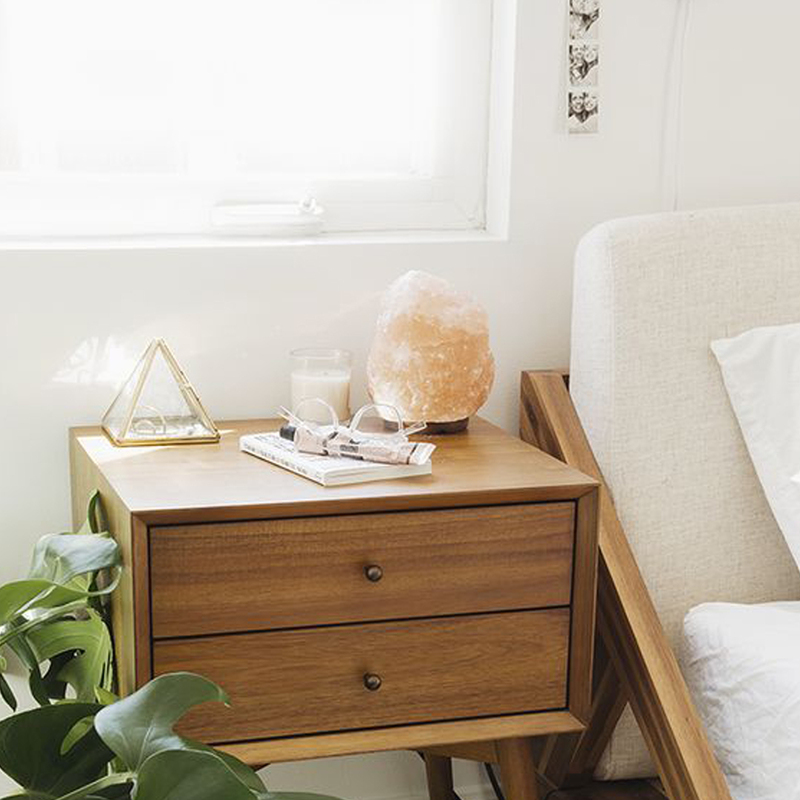 The earthiness of Himalayan salt lamps lends them perfectly to Zen, nature-driven styles, like bohemian, global, and eclectic—and salt lamps often become simply a decorative accent. However, you don’t need to have a bohemian or eclectic style to decorate with salt lamps. These pretty pink lights are eye-catching, while still being petite in size, so they’ll work into nearly any decor style. Plus they play off of the geode trend that is hot in home decor right now. 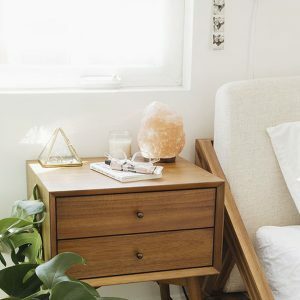 We love the idea of placing a salt lamp on a bookshelf (not plugged in) as accent decor. Think outside of the home, too. You’ll often find Himalayan salt lamps in offices, most frequently on individual desks, especially in open-concept environments. 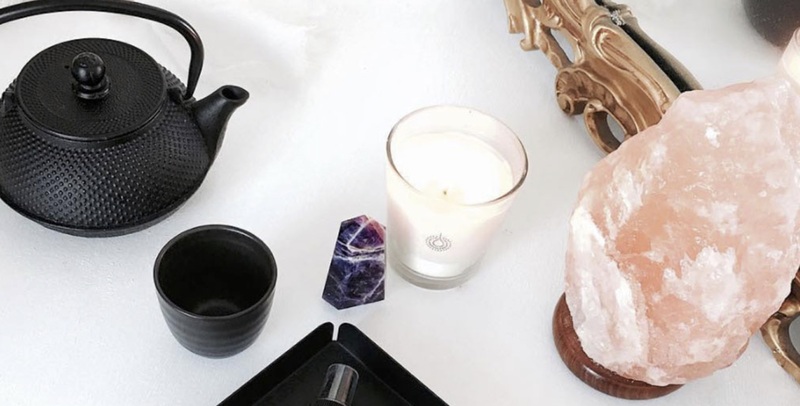 If you’ve been feeling less-than-productive at work, try adding a salt lamp to your desk!